Mary Kiani and Friends - Neil Drover - agency for live music, presenters and entertainers. Would you like to book a choir for your event? Mary Kiani has been a professional and successful musician/singer for more than 2 decades. Mary Loves to sing and has gatherd around her a group of top session singers to create a fabulous gospel sound with the group Friends of Mary. As well as singing at weddings, christmas parties and corporate events they have thrilled audiences in theatres, clubs and churches. 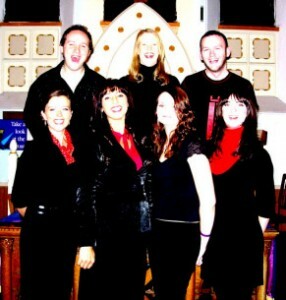 Mary and Friends is a small choir with a difference thrilling audiences with their upbeat energetic style.